Ask the expert: can cats become blood donors? Did you know that your pawsome pal could become a blood donor and save lives? Just like humans, animals also need to get blood transfusions when they are injured and critically ill. We interviewed Jenny, the owner of super-cats, Jenny (yes, you read that right) and Lilah to find out more about the process of animal blood donating. How did you become aware of the cat blood donor programme? It was when my cat Izzy sadly got Triaditis and I took him to a specialist vet to try and save him. I was made aware that this vet actually used feline blood. 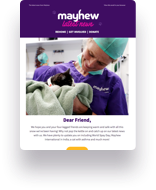 When I adopted Jenny from Mayhew I decided that I would investigate the potential for rescue animals to help other animals. For half a day and a little skin prick with no risk, to save another cat’s life is something special and it should be more widely publicised. Where do the cats give blood? The Royal Vet College (RVC) is where they give blood. There are several options to choose from, but I chose the RVC as it is a training ground for vets. I felt that if they are doing veterinary research work then I would be happy to do anything I could do to advance feline medicine. How do Jenny and Lilah respond when they donate blood? My understanding is that they are completely calm and stress-free whilst donating. The RVC are meticulous about the assessment, so you know your cat is in safe hands. As an owner I believe you have a responsibility to never submit an animal that you think would find the process too stressful. Overall, would you say having your cats as blood donors has been a positive experience? Yes! The RVC are incredibly careful and give the cats a lot of treats and attention. I get free WiFi whilst I wait, but I also have the option of dropping them off and picking them up when they’re finished. There are also a number of benefits, with one of them being a full health assessment. When Lilah had her health check, the blood test discovered elevated liver enzymes. The RVC notified me straight away and advised me to get it checked with my vet. They even phoned me a week later to check that she had been seen! I was very impressed that they were able to notify me on something I otherwise wouldn’t have known about. I feel that they really care about the health of my cats. Could your cat or dog be a hero like Jenny and Lilah? The Royal Veterinary College is always on the lookout for new donors. If your pet meets the following requirements, they could be a life saver too! plus a meal before they go home! Winston is a black, domestic cat who went missing from his home for three weeks. He was found starving and very near death by a member of the public. Winston was taken to a local vet who referred him to the RVC and contacted the owner, Michelle, thanks to his microchip. The starvation meant Winston was severely lacking in energy, vitamins and minerals, causing him to be anaemic and have seizures and a stroke. He also temporarily lost his vision and at one point his heart stopped. Winston was given a blood transfusion from Michelle’s other cat Cato who is now a regular donor. If it wasn’t for a blood transfusion, Winston may not have recovered. Winston is now fully recovered and back at home with Cato and Michelle.